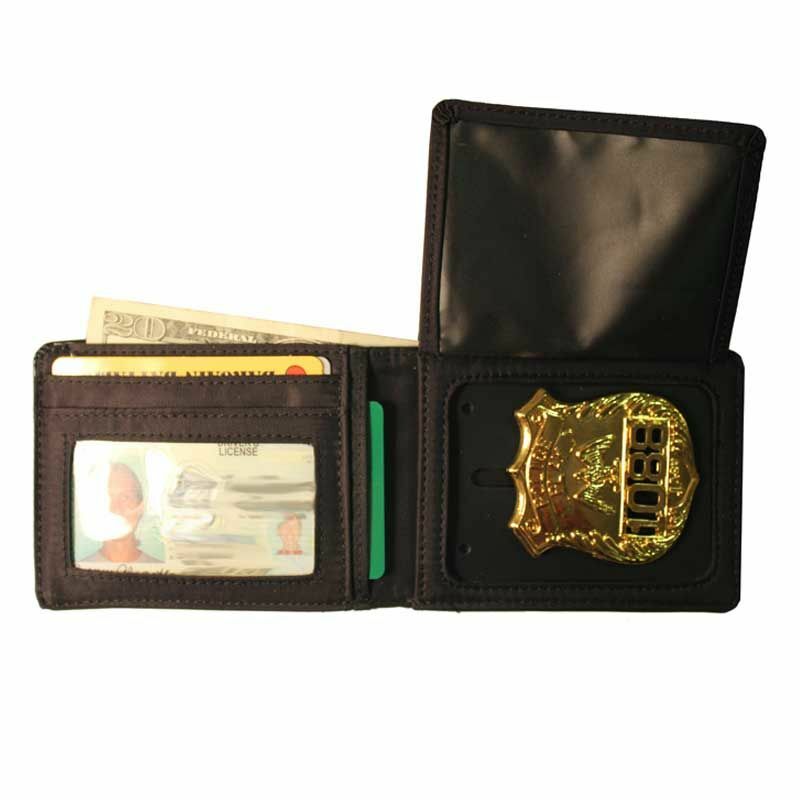 Everyone from sheriffs, paramedics, fire marshalls to police officers has been asking us for years to create badge wallets. After multiple design tests, we have crafted a series of badge wallets/holder from our signature nylon microfiber. 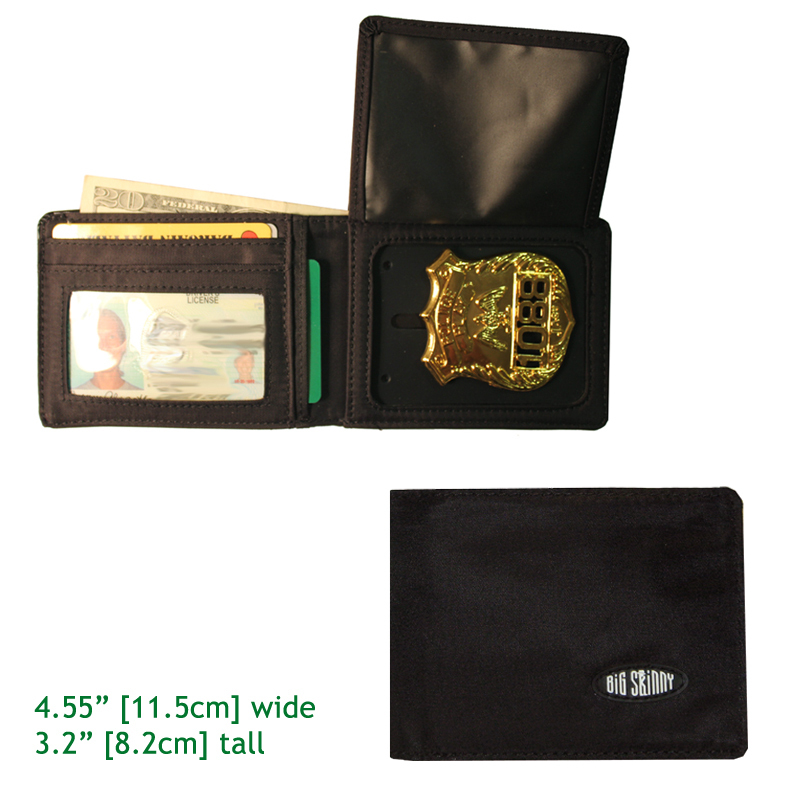 This ultra-thin, lightweight, nylon microfiber Badge Bifold securely keeps your badge in place along with your credit cards and cash, all while staying thin. A flap keeps your badge concealed and the badge section is recessed, making your shield flush with the wallet. Badge gets secured to a rubbery backing to keep it it from shifting around in the wallet and is also easily removed if necessary. Wide, rounded badge section accommodates a variety of different badge sizes and shapes. Wallet is flexible and comfortable to carry. Got this for my boyfriend, he loves it. With his badge and cards, it is thinner than his old wallet when it's empty!! Really skeptical after all of the reviews. Received wallet today and could not wait. I have an oval type shield and it fits perfect. I had been carrying two wallets a big skinny and a badge/id holder, glad you came up with this idea, the only little glitch that I think could be improved on is the piece of material in the middle of the wallet that holds the badge insert in the wallet. The insert is barely held in place by that piece (it seems a little narrow) which makes me wonder if over time and break in period it will loosen up. One other thing, I have a flat badge without a pin, so I used adhesive Velcro to hold my badge in the wallet and it has not failed me yet. 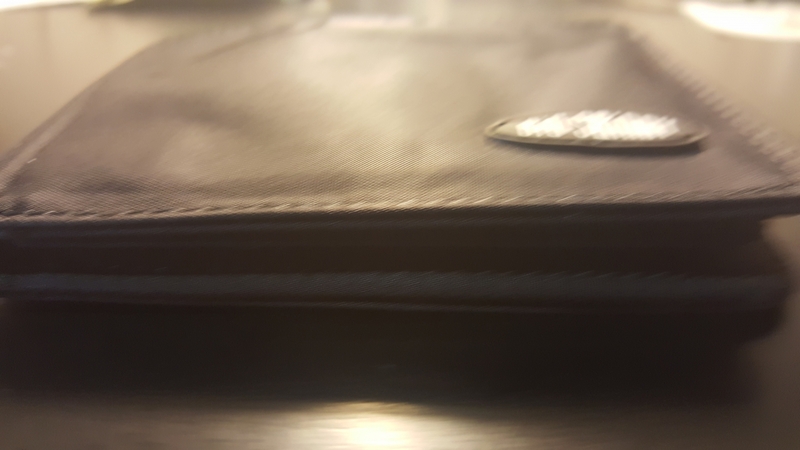 I really like Big Skinny wallets and have recommended them to many friends and my old Big Skinny gets recycled to my son. He loves it as well. Thanks for a great product.